← Midsummer — great reviews and on sale! With less than two weeks to go until Phoenix (LiLA 3) comes out, we thought we’d tease you with nine key things from the first two books that are worth remembering as you head into book 3. Phoenix is now available for ebook pre-order on the Torquere Press website. Other retailers and the paperback version will be available as we approach the June 10th release date! Now happily married to writer and producer Paul Marion Keane, television star J. Alex Cook’s life has been a fairytale of success and romance for years. But when an unexpected tragedy throws his and Paul’s social circle into chaos, the alumni of hit TV show The Fourth Estate are forced to pick up the creative pieces left behind. Confronted with his own mortality, Paul suggests he and Alex start a family. But figuring out what family means when your best friends’ polyamorous marriage may be melting down and you have Hollywood’s most malevolent fairy godmother to thank for your success is no easy proposition. As Alex questions whether anyone in a profession full of make believe can truly have fame, fortune, kids, and the happily ever after of their dreams, he sets out to take control of his own life and discovers that the best love stories never truly end. 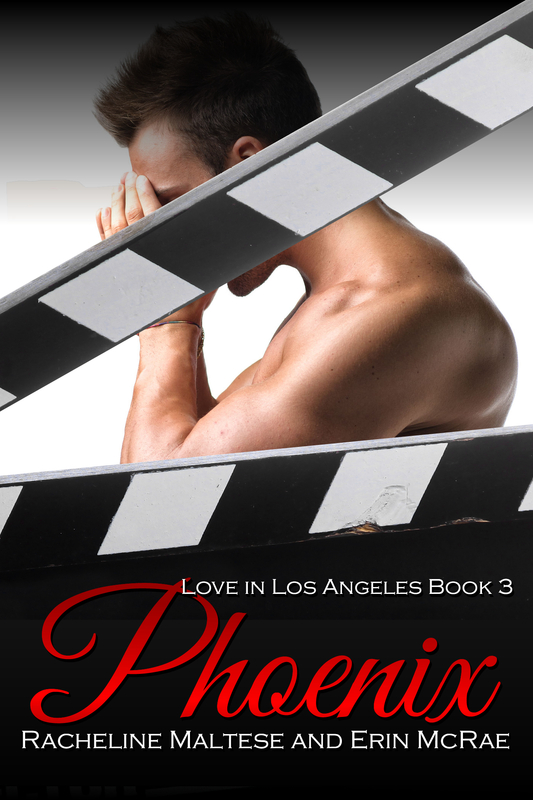 Phoenix is Book 3 in the Love in Los Angeles series. This entry was posted in books, Cover reveal, gay lit, Love in Los Angeles, New release news, Phoenix, Writing and tagged books, gay lit, lgbt romance, lgbtq romance, Love in Los Angeles, m/m romance, Phoenix, Writing. Bookmark the permalink.